One of Vincent van Gogh’s 1887 paintings, Patch of Grass, has recently revealed a portrait of a woman hiding underneath the paint. Van Gogh was known to paint over some of his earlier works, perhaps because of his lack of funds and the cost of canvas. The new technique—synchrotron radiation induced X-ray fluorescence spectroscopy—goes beyond X-ray radiography, which has been used successfully to discover other concealed paintings. 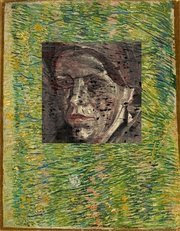 An international research team from the Netherlands and Belgium are credited with discovering the portrait. For a time van Gogh worked as a missionary in a mining region. His fondness for these hardworking people shows in his first major painting, The Potato Eaters. Van Gogh accused his art dealer brother of not pushing his works more, but buyers of bright Impressionist paintings weren’t interested in the drab portraits of the local poor. Van Gogh believed becoming an artist was a spiritual calling. Although he painted for only ten years and sold one painting during his lifetime, his paintings are some of the most recognized and admired paintings in the world today. He died in Auvres, France, two days after shooting himself in the chest with a pistol. 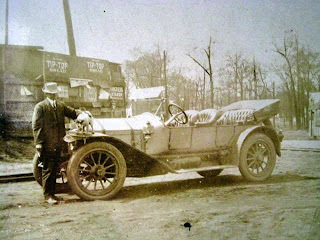 Theo died six months later of syphilis while in the Netherlands, and his body was sent to France to be buried next to his brother. Their remarkable relationship of support and encouragement is documented in their letters. Van Gogh’s sister-in-law, Jo van Gogh-Bonger, inherited his estate after Theo’s death, and was instrumental in Van Gogh’s posthumous worldwide fame. On a side note, the van Gogh family lost another member in 2004 to tragic circumstances. 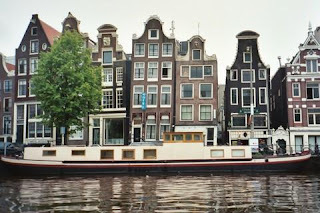 Theo's great-grandson, the controversial filmmaker Theo van Gogh, was murdered by Mohammed Bouyeri on an Amsterdam street while bicycling to work. A critic of Islam who received death threats for his film exposing the mistreatment of women in Islamic culture, he called America the "last beacon of hope in a darkening world." Check the JCLC catalog for more on Vincent and Theo van Gogh. The Arts, Literature & Sports Department at Central Library has 4 van Gogh art prints that check out for 60 days: Irises, Olive Trees, Sidewalk Cafe at Night, and Sunflowers. And don't miss Robert Altman's Vincent and Theo, starring Tim Roth as Vincent. It opens with an auctioneer's voice announcing bidding prices in the millions as images of van Gogh's paintings appear; Vincent could only give them away when alive. Kirk Douglas also played the temperamental painter in Lust for Life. The assassination of President John F. Kennedy remains one of the most unsettling and controversial events in American history. At today’s program local author and activist Jim Douglass will discuss his recently published book on the topic, JFK and the Unspeakable: Why He Died and Why It Matters. Wednesday, August 6, noon. Feed your body and mind at BPL's Brown Bag Programs. You bring the lunch and we'll bring the drinks. Wednesdays at noon in the Arrington Auditorium located on the 3rd floor of the Linn-Hinley Research Library, 2100 Park Place. Forget what your teacher told you about keeping quiet in the library. It's time to make some noise! Raise your voice and say what you want Birmingham City Schools to become. And it's happening not only in the libraries, but all over town in churches, community centers, homes, and workplaces. Now is the time to speak up and say what you want from your schools and what you would suggest to make them stronger. What you and other citizens say will shape a new Community Agreement around shared goals—and serve as a road map to better schools. Yes We Can! Birmingham needs to hear from every citizen. Help spread the word that everyone is invited, be sure to attend a community conversation yourself, and raise your voice. Please join one of the Community Conversations at these Birmingham Public Libraries to improve our schools. Check the Yes We Can! Birmingham Website for additions or call (205)327-3803. West End / 12:00-1:00 p.m. Yes We Can! Birmingham is a grassroots initiative of the Community Foundation of Greater Birmingham and Alabama Power Company. I always thought that celebrity cookbooks were kind of hokey, especially when written by country singers. 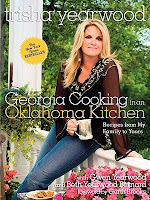 But Trisha Yearwood proved me wrong with her excellent family-inspired cookbook, Georgia Cooking in an Oklahoma Kitchen: Recipes from My Family to Yours. Trisha’s father was a banker and a farmer, and she grew up enjoying a bounty of fresh fruits and vegetables. Georgia Cooking is filled with simple, down-home recipes and plenty of beautiful color photographs. Her mother and sister, Gwen Yearwood and Beth Berman, worked with Trisha to compile old family recipes, and they all share anecdotes and tips about the recipes in the book. The twice-divorced Yearwood married Garth Brooks in 2005, and he pops up here and there praising his wife’s cooking. His favorite recipe of Trisha’s? Her German Chocolate Cake. He can’t wait for his birthday to roll around so he can enjoy it, so Trisha surprises him with it throughout the year. Aw. Like another big-boned country gal, Trisha likes her butter. But if you’re worried about calories, just substitute healthier ingredients or make some of the more fattening dishes as a treat. My husband and I have made her delicious Macaroni & Cheese and it’s a keeper. No exotic ingredients or confusing instructions, just tasty country cooking like your mama's. 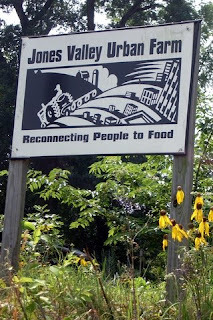 Edwin Marty, Director of Jones Valley Urban Farm, will discuss how to conserve water at home and still keep your garden growing. He will share ideas from the very simple to the more intricate. Learn how to lower your water bill while making your garden green again. Wednesday, July 30, noon. Five Points West Library is hosting the 7th annual Ujima Math & Science Fun Day on July 26, 2008. 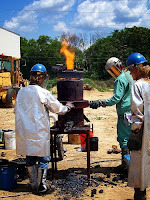 Event activities are based on the idea that “Science Is All Around”. Children, or adults for that matter, are more likely to understand and enjoy math and science if they can play with scientific and mathematical concepts in the real world. This years interactive exhibits and events will include: Birmingham Rocket Boys, Fun With Dry Ice, RC Car Racing, Math Challenge, Iron Working Exhibit, Martial Arts Exhibit, The Alabama Power Water Course, The Magic of Materials, Amazing Biology, The Potato Guy, Computer Science, and the UAB chapter of the Student National Medical Association. Come visit as professionals who work in math and science careers engage children in fun and hands-on activities. For more information visit mathsciencefun.org and watch this interview from Fox 6. Commercial photograper Marc Bondarenko will be displaying and discussing his career and work! Works will be on display during the month of July. Whatever happened to the Mommy Dearest approach to making kids eat their vegetables? Back in the day if you didn't finish your veggies, you had two options: 1) Sit at the table long after everyone else is gone and build up the nerve to force them down. 2) Seal your lips and refuse to eat them, but don't be surprised if breakfast is a big plate of last night's veggies, chilled and congealed. It seems that the deceptive approach to getting kids to eat their veggies is the current rage. 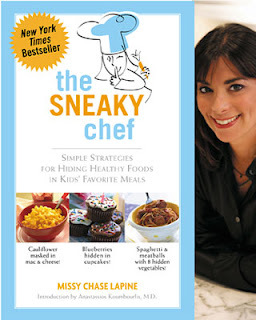 For those not familiar with the battle of the sneaky soccer moms, in 2007 cookbook author Missy Chase Lapine's book The Sneaky Chef was turned down by HarperCollins but was eventually published by Running Press. 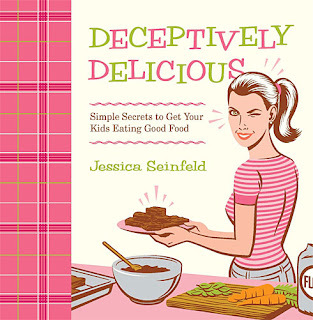 HarperCollins published Jessica Seinfeld's (wife of Jerry Seinfeld) Deceptively Delicious six months later. Lapine hired a lawyer to sue Seinfeld and HarperCollins for plagiarism. Jerry went on Late Show with David Letterman and called Chase a "wacko." Chase has since published a second Sneaky Chef book, and Seinfeld is working on her second book with HarperCollins. To this day the battle rages on over at Amazon.com in the comments section that range from snark to support, depending on which camp the soldiers belong to. Both books have become bestsellers; and the battle rages on. Regardless of who wins this great vegetable epic, there's sure to be some sound, nutritional advice in both books. This Goodly Land: Alabama’s Literary Landscape is an online literary portal which allows for the exploration of Alabama’s literary landscape. 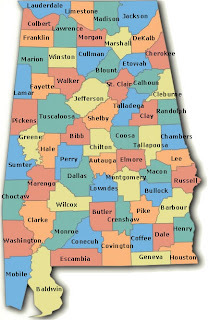 The interactive online map of Alabama links biographical sketches of Alabama authors to parts of the state that are significant to them. The site contained 60 author profiles when it was launched in January 2007 and now contains 134 author profiles. “This Day in Alabama History” is an exciting new feature that allows anyone to see what happened on today’s date or any other month-day combination. According to the site, “There are still a few blank dates, but we’ve got events for over 85% of the calendar year.” Other new features include a video made during the spring with author Peter Huggins. In the video, Peter reads his poem “An Airfield in Alabama” and discusses what “place” means to him. The site also contains a blog which will be used to announce new features, new author profiles, upcoming promotional events and other great new features. The blog will contain announcements of special aspects of the site that deserve attention. This Goodly Land contains resources for teachers and librarians. Lesson plans include exploring Alabama authors, investigating aspects of To Kill a Mockingbird as well as many others. Visit this site to explore the abundance of Alabama’s rich literary history, past, and present. Scott Sigler, horror and sci-fi podcaster extraordinaire, has recently published Infected, a 2006 story originally released via podcast as Infection. Sigler has become a pioneer in the field of the podcast novel, ever since he decided to offer up his story Earthcore as the world’s first podcast-only novel. Earthcore was podcast in twenty-three episodes and created a fan base of users Sigler dubbed “junkies” because they couldn't wait for the next installment. In Infected seeds from outer space are drifting down and infecting humans. The infection starts off as a mild rash that turns into an annoying rash that turns into a rash that one man takes care of with a fork and a lot of elbow grease. Eventually the victims start noticing pale, blue triangles appearing beneath their skin. Some succumb to their condition by hiding out in their homes, watching with revulsion and horror as their condition worsens, while others turn into weapon-wielding maniacs who attack strangers and family alike. But ex-football player Perry Dawsey is made of hardier stock, or so his abusive, drunk, dead father keeps telling him when he appears in flashbacks and in Dawsey's fast-deteriorating mind. He starts to battle the triangles, cutting the first one out of his leg. Only problem is most of the triangles are planted near major arteries and in, shall we say, even more delicate places. The triangles are equipped with a survival mechanism that includes a whip-like tail and burrs. Eventually they start talking to Perry, asking him to feed them, to turn his body so they can see, and to question his every move as they await their hatching. On the trail of this outbreak are the cops, the CIA, and the Centers for Disease Control. But can they figure out what's going on before the aliens build a mechanism in the woods to start an all out invasion and annihilate the human race? Infected is terrifying proof that the imagination makes for scarier monsters than any CGI-created effects. Oh, and a word of advice: Don't eat while reading this novel. Trust me. Join us to hear legendary Birmingham archivist and historian Marvin Whiting discuss the collections and future home of Birmingham's newest museum, The Birmingham-Jefferson History Museum. He will share artifacts from the museum’s growing collection. Wednesday, July 23, noon. 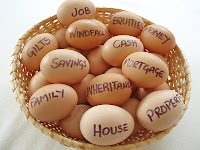 The Birmingham Public Library's free classes on retirement planning will be ending soon. The last session will be on Thursday, July 24, from 10:00 a.m. until noon in the Arrington Auditorium at the Central Library. If you're one of the lucky ones getting out of the rat race soon, please come down to the last session for some informative and free advice. Jody Harris with Social Security will present "Social Security and its Place in Retirement Planning"
"You can touch my hand. Only with your fingers. Anything else will make me vomitous." The elderly Ian (Leslie Phillips) is practically skipping with joy. His niece’s young daughter is coming to keep house for him. He envisions a dutiful girl who will cook his meals and do his laundry. What he gets is a sassy ramen noodle-slurping slacker who drinks his good Scotch and lounges on his sofa, eating crisps. So Ian spends his day keeping out of Jessie’s (Jodie Whittaker) way and trying to occupy himself so he won’t have to go back to his flat and deal with her. He begs his friend Maurice (Peter O'Toole) to help him, and Maurice is quite up for the job of occupying Jessie’s hours to give his old friend some time alone. Maurice loves women—every part of them. So we know why he’s attracted to Jessie. But what attracts Jessie to Maurice? Like a lot of young people, she’s not overly fond of old-people smells or senile moments. But Maurice has a way of making Jessie feel valued, and she feels safe trying out her burgeoning sexuality on Maurice. She blooms under his attention, but reality has a way of crashing their moments. While Maurice loves the idea of a woman, the mundane details of a relationship escape him. We see this when he disappoints Jessie at a high-end clothing store, and when he owns up to his past as a womanizer who left his young wife (Vanessa Redgrave) to raise three kids under six. For Maurice romance is a wonderful thing—as long as it means quoting Shakespeare or caressing an elegant neck. Venus has many wonderful moments, especially when the two old actors and friends get together and trade barbs. Maurice and Ian meet at a restaurant several times a week to relive their glory days and complain about their infirmities. And, yes, that is Harry Potter's Uncle Dursley rounding out the trio. Venus is one of those movie gems that don't get made too often, so don't let this one pass you by. It's pure pleasure to watch Jessie come into her own at the end. Raise Your Voice To Improve Our Schools! North Avondale / 12:00-1:00 p.m.
East Lake / 6:00-7:30 p.m.
North Birmingham / 6:00-7:30 p.m.
Pratt City / 12:00-1:00 p.m.
Springville Road / 6:00-7:30 p.m.
Come take a journey with us to the fascinating country of the Netherlands. A country that must deal daily with the dynamics of living below the level of the North Sea and that has dealt with water control and continual water removal since the 1200s. Wednesday, July 16, noon. 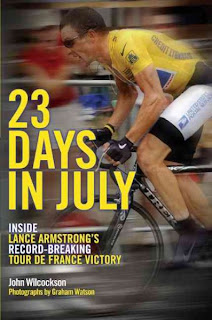 Le Tour de France has not always been an institution that favored quick adoption of technological advances. As Henri Desgrange, an early founder of the le Tour de France said “the Tour is a test of muscles, not artifice.” The derailleur systems, a device that allows for easy changing of gears, had been around since at least the early 1900’s but was not legalized for tour use until 1937. Prior to this rule change cyclists had only one gear and actually had to dismount, and manually change their wheels when attacking mountains. But fortunately for racing fans ubilabs is not as conservative in introducing new technology to traditional sports. Their Tour de France live tracker joins Goggle Maps and Street View to give fans a first person view of the race. This free site allows fans to follow rider positions on a detailed map or view a photographic street view. And in case you need something to read between stages, here’s a list of books available from your local library. In conjunction with the summer reading program, “Catch the Reading Bug,” BPL@Night is hosting the Children's Educational Theater as it presents The Ugly Bug Ball. The Children's Educational Theater is an Alabama drama group dedicated to inspiring young people. They have devoted themselves by promoting and encouraging self-worth among children. Kimberly Sumerel, the executive director, founded Children’s Educational Theater in 1995, shortly after writing the award-winning play A Magical Pond. Ms. Sumeral and the theater group perform plays and events across the Southeast. 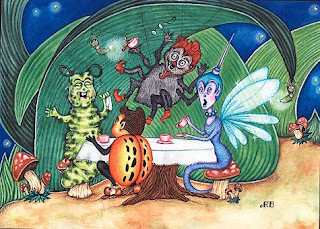 The Ugly Bug Ball is the story of Cinderella told from the perspective of insects. Bug Ella is the beautiful bug whose stepsisters, Centipede and Millipede, mistreat terribly. Bug Ella’s step-mother, Lady Tarantula, allows only her daughters to go to the Ugly Bug Ball but forces poor Bug Ella to stay at home. As fate would have it, things turn out well for Bug Ella, but not before some twists and turns in the story. The Children's Educational Theater will use unique puppets and props to present this new twist on a well-known fairy tale. The Birmingham Public Library would like to extend an invitation to all parents and children for this exciting event. For the schedule of summer reading programs, visit the Birmingham Public Library's Catch the Reading Bug Web page. BPL@Night is made possible, in part, by the Jefferson County Commission through the Jefferson County Community Arts Fund administered by the Cultural Alliance of Greater Birmingham, and by grants from the Alabama State Council on the Arts and the National Endowment for the Arts. BPL thanks Compass Bank for its generous support of BPL@Night. 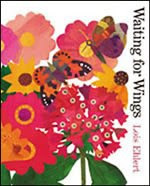 Lois Ehlert’s Waiting For Wings tells the life cycle of a butterfly through rhyme and illustration. Bright colors and whimsical drawings bring the energy and beauty of the garden alive. Children and adults will delight in the bright colors of the Monarch, Tiger Swallowtail as well as the Purple Coneflower, Marigolds and Zinnias. Red, orange, purple and yellow makes the garden vibrant and alive with color. Eggs develop into caterpillars and later emerge into adult butterflies. We feel the beauty and urgency of the fluttering wings as they look for nectar. The life cycle continues. Butterfly information and identification are included so you and your child can learn more about butterflies and flowers. Perhaps grow your own butterfly garden, so you too can observe the wonder and beauty of these spectacular fluttering creatures. Watch wings unfold and enter into a garden of color, movement and whimsy. 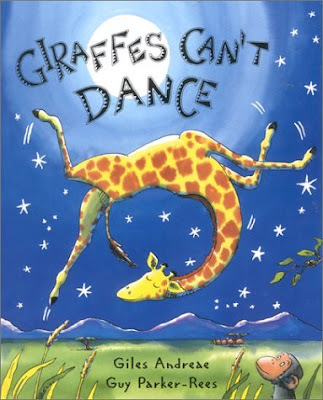 Giles Andreae's Giraffes Can't Dance tells the story of Gerald, a clumsy, poorly coordinated giraffe who wants to dance so badly but simply cannot. All the other animals will be ready to shimmy and prance at the big annual jungle dance. Poor Gerald is just plain, well you know, awful is precisely the word. Or so the others say. Who listens to them anyway? You? Not me! You know how things can change sometimes. One beautiful moonlit night, under a dramatically starry sky, a special someone helps Gerald’s dream come to life. With a little rhino rock, baboon boogie, dramatic tango and sassy salsa, this book is sure to be a hit with the little ones. The lyrical story keeps rhythm with the lions, baboons, warthogs and rhinos as they dance, prance and leap across the page. Bright, colorful watercolor pictures are a delight and dancing animals are a treat you will not want to miss. You and your child will root for Gerald the whole way through. The rhythmic, beautiful tale proves the joy of finding and importance of listening to your inner song. Independence day is this week. What better time to be informed and even surprised by revelations in a DVD about one of our founding fathers? Based on David McCullough's Pulitzer Prize-Winning biography, John Adams, the HBO miniseries has recently come to DVD. The miniseries offers a revealing look at John Adams, second president of the United States, and the brutal path to American independence. 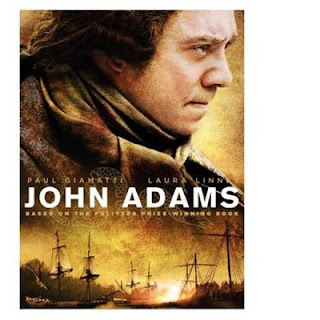 In the book and the miniseries, John Adams is revealed as a principled attorney whose path leads him to become one of the most distinguished of a generation of revolutionary leaders. Watching this DVD with my family, we were often struck by the gritty all too human struggle from revolution and into Independence. This is a not a romanticized version of events. "Franklin smote the ground and out sprang George Washington, fully grown and on his horse. Franklin then electrified him with his miraculous lightning rod and the three of them, Franklin, Washington, and the horse, conducted the entire revolution by themselves." Sometimes, truth is more interesting than fiction. During this the month of Independence day read the book, listen to the book, or watch the video and be amazed. If you decide to watch the DVD, turn on the “Facts are Stubborn Things” feature of the disk to see fascinating pop up facts on John Adams during the movie. The history of a place lives on long after the people who made that history. And for many places, history leaves a stigma. University of Nevada-Las Vegas historian John Foster will examine the historical stigmas attached to Birmingham and San Francisco, two different places with much in common. Wednesday, July 9, noon.